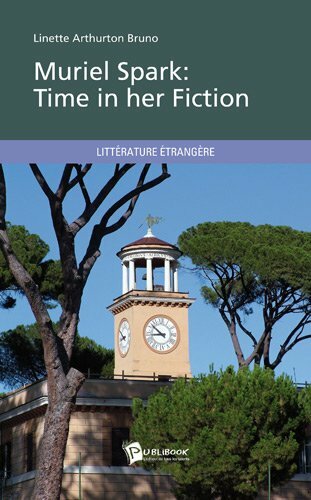 “Muriel Spark: Time in her Fiction” by Linette Arthurton Bruno is the examination of how Muriel Spark incorporated her attitudes and beliefs into her fiction novels. Ms. Bruno uses five of Ms. Spark’s novels: The Prime of Miss Jean Brodie, Girls of Slender Means, Memento Mori, The Mandelbaum Gate, and The Driver’s Seat for her analysis. Muriel Spark considered the world a stage, its inhabitants playing bit parts in the great story of life, marked by moments in time. Spark weaved her personal influences and outlook on life with calculated and skillful reflection into her fiction work. She is considered one of the great British writers and one of the most distinctive writers of the twentieth century. All of the novels in the analysis reveal the recurring premise of Spark’s obsession with conflict. Bruno suggests a number of events in Spark’s life contributing to this fixation, such as growing up in wartime, and being born into a family of mixed religious influences. Bruno discusses three specific periods of Spark’s life that played predominant roles in her novels: her life and childhood experiences, her conversion to Catholicism, and entering the prime of her life. Bruno delivers clever insight from her perspective into the mindset of Muriel Spark and the way Spark integrated her experiences into her writing. I found her analysis well written and thorough, often inciting a want for deeper reflection into the distinctive characteristics of human nature. “Muriel Spark: Time in her Fiction” by Linette Arthurton Bruno would make an excellent study guide for those wanting to dive deeper into the writings of Muriel Spark. It would also make a great reference tool for book clubs.